If you’ve ever donated to a charity through PayPal’s fundraising platform, be warned: A lawsuit filed yesterday alleges that money given through Paypal’s Giving Fund may never actually reach the intended recipients. The lawsuit, reported by The Guardian, claims that PayPal holds onto donations intended for charities that aren’t registered with them and doesn’t “notify the unregistered charities that a donation has been made to them or that they need to create an account in order to receive the money.” The lawsuit further alleges that PayPal then transfers the money to an interest-bearing account and “refuse[s] to promptly deliver” the donations, accruing interest on the money for months before ultimately giving the funds to “similar” charities. This is particularly problematic for small organizations. Most of the biggest charities like the Red Cross are registered through PayPal and will receive their funds, but for people who use PayPal to direct their money to small or local non-profits—exactly the kinds of groups that have the least resources available to deal with administrative headaches like this—this is troubling news. The PayPal Giving Fund essentially acts as a middleman for charitable donations. When donors give through the company’s fundraising platform, which includes all eBay donations, they go first to the PayPal Giving Fund, a totally separate 501(c)(3). Those donations are then transferred to charities once a month, according to PayPal’s site. While we make every effort to deliver the donation according to the donor’s wishes, we retain exclusive legal control over all donations and reserve the right to redirect the donation to another charitable organization in the event that a charity does not enroll with PayPal Giving Fund or fails to meet our criteria for receiving a donation. 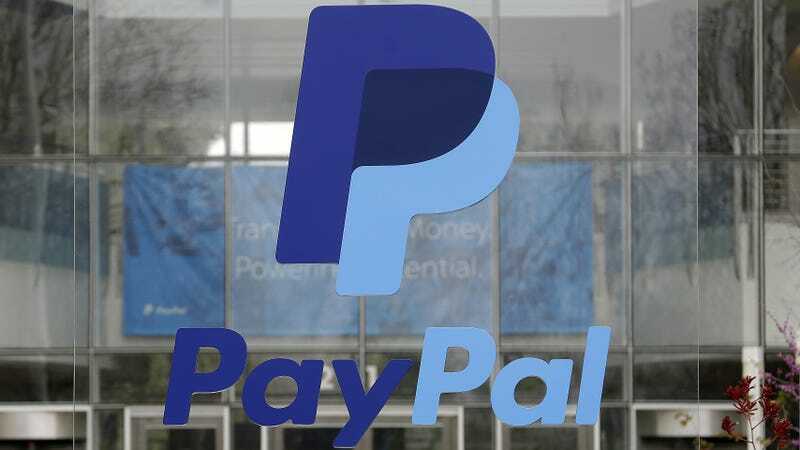 We don’t know exactly what criteria PayPal uses to determine which charities it ultimately redirects the money to; a PayPal spokesperson told Gizmodo he would try and find out, but hasn’t provided any further information. It makes sense for PayPal to verify that charities aren’t scams before it donates to them, of course, but the discrepancy between what they present on the website—“choose from over a million charities now”—and how it’s actually done is harder to explain. If you’ve donated to a charity, particularly a smaller or local charity, through PayPal’s Giving Fund in the past, you should probably reach out directly to the organization to check they got your money. It doesn’t affect the tax deductibility of the donation—anything that goes to PayPal Giving Fund’s 501(c)(3) is still a charitable donation, but you’ll want to be sure it went where you thought it went. And it might be best to wait for the outcome of this lawsuit before you send any more money through the platform.